Inspired by the weapons of medieval warriors, the Scottish Great Sword with Plaquefeatures a stainless steel blade in a historic form. 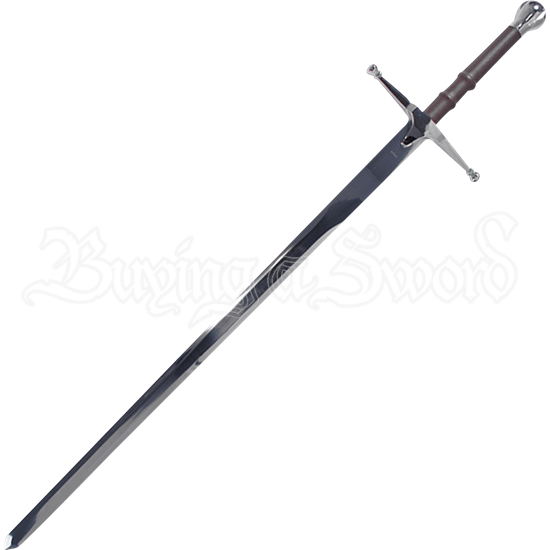 This decorative sword comes with a wooden wall plaque for easily displaying medieval style. 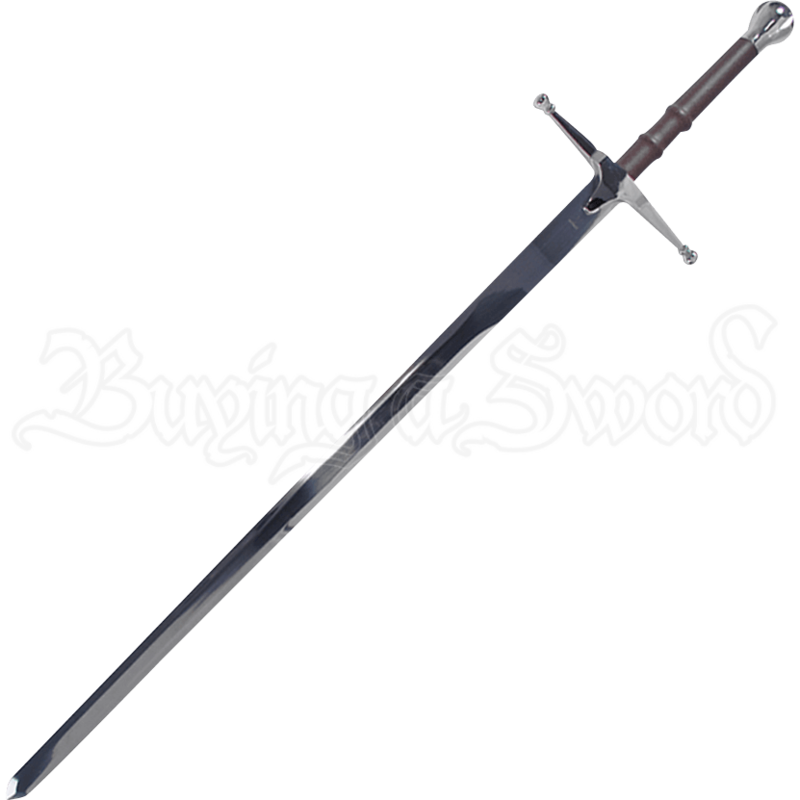 The straight crossguard of the sword features rounded quillions, their ends matching the rounded pommel. Between the pommel and the guard, brown faux leather texture provides comfort to the grip. An austere weapon based on those seen at the sides of medieval warriors, this decorative weapon adds a sense of history wherever it is placed. The included wall plaque makes it easy to showcase the craftsmanship and style of this decorative steel weapon, making it a great gift, collectible, or home decor piece.